Today, potential patients turn to the internet first to explore their medical options. 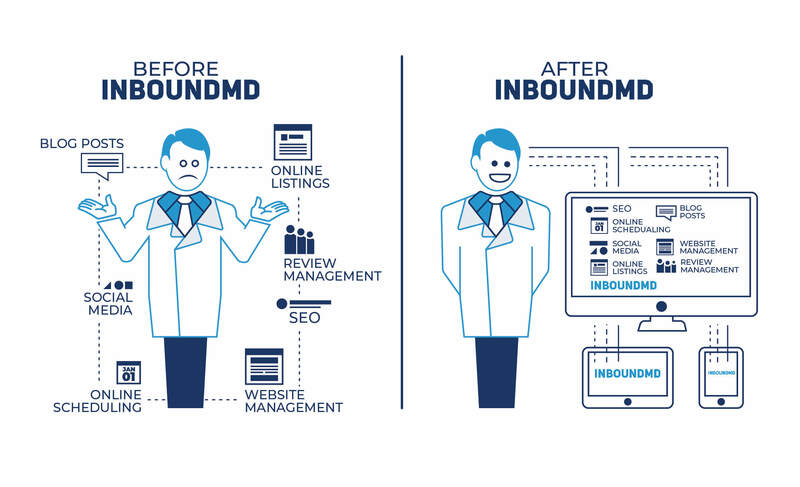 InboundMD automates internet marketing for doctors, dentists and other healthcare practices. Innovative software and additional creative services grow your practice without requiring lots of your time. 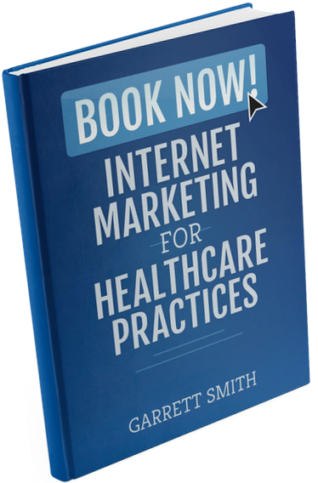 We’re not just healthcare marketers, we wrote the book on internet marketing for healthcare practices. Written by our Founder and CEO, Garrett Smith, BOOK NOW! 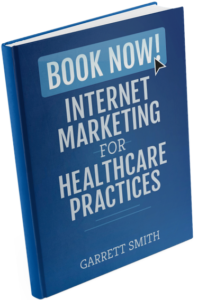 Internet Marketing for Healthcare Practices is a 200 page field guide for any practicioner interested in successfully marketing their practice online. 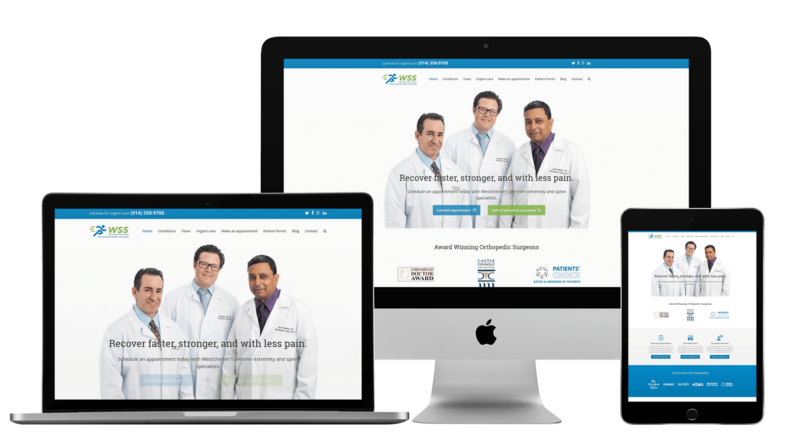 Get a modern website optimized for patients and search engines that drives desired new patient cases and brands your practice as an authority. 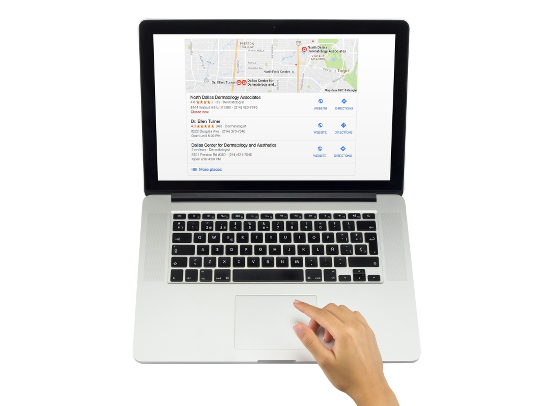 Grow your online presence across hundreds of popular business and healthcare websites ensuring new patients easily find your practice anywhere. 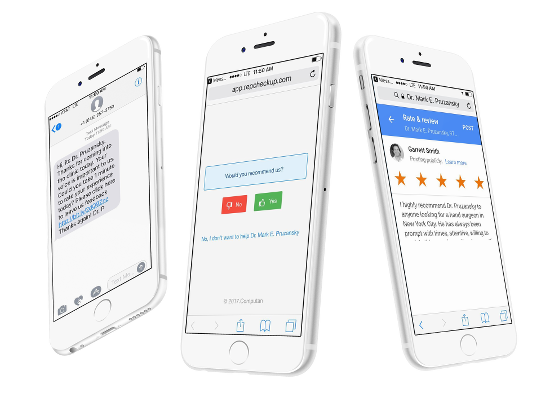 Automate patient feedback with emails and text messages that increase your ratings and reviews on professional profiles across the internet. 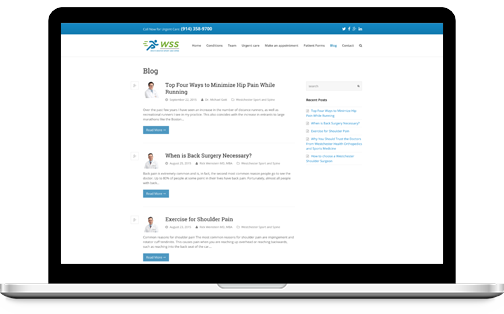 Publish monthly content on your website to engage and inform patients about relevant conditions, treatments and trends in healthcare. 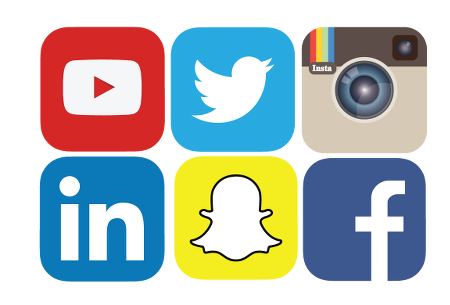 Communicate, educate and entertain your patients with monthly social media campaigns prepared, published and promoted for you. 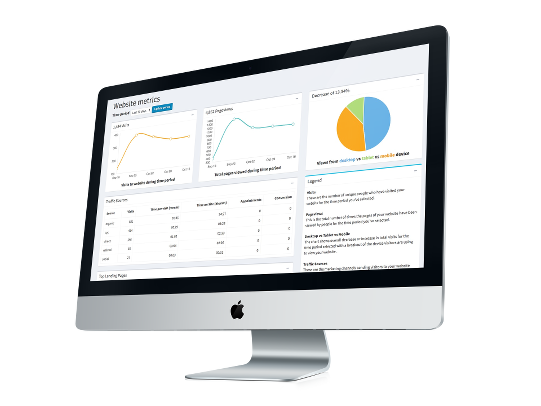 Review your practice’s marketing performance with a robust online dashboard that displays appointments, phone calls, search ranking, social media and website metrics. 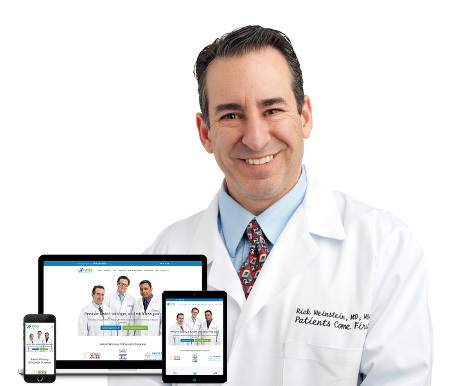 Healthcare practices using InboundMD have increased website traffic over 100%, search engine rankings by 200% and experience over a 500% Return on Investment. Learn how you can market your practice, acquire patients and protect your professional reputation with our expert guides.